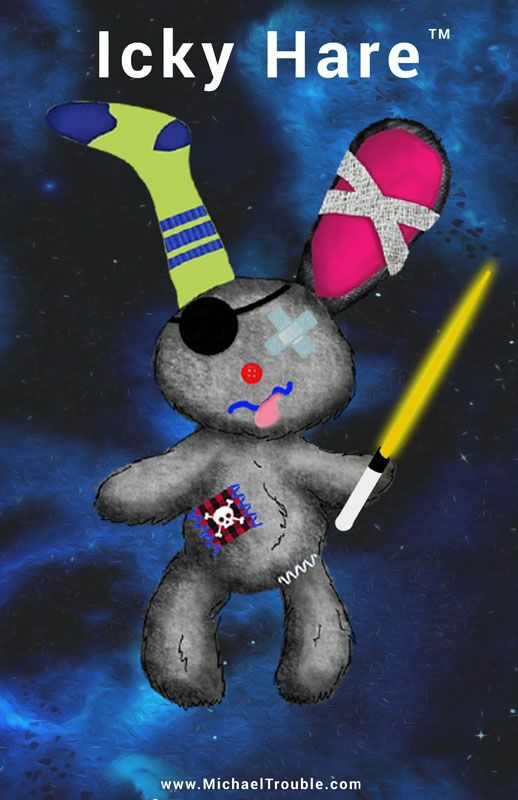 Since every AWESOME kid needs a sidekick, Michael Trouble is willing to share his silly rabbit with you. Together you can slurp noodles, battle bacteria, and sink your teeth into orange juice, along side Icky Hare. Just try not to drive your doctors and nurses too crazy! The size of this poster is 11X17.